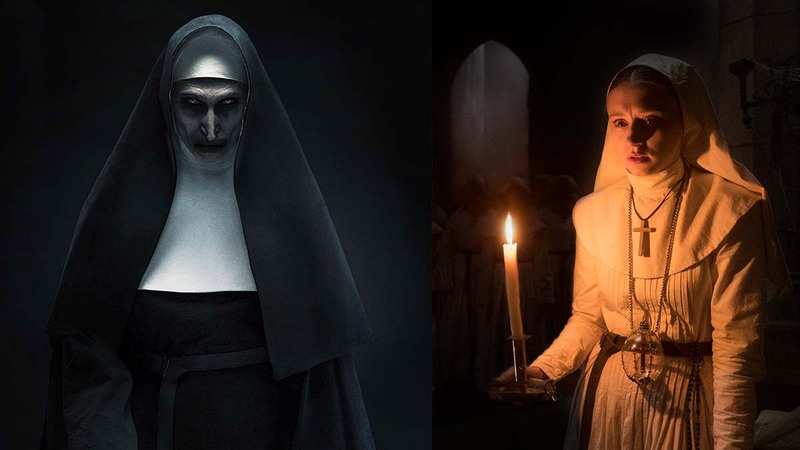 The Nun has officially come to theaters and horror fans couldn’t be more excited for the fifth film of The Conjuring franchise. Although it is the latest installment, it goes back the farthest in the timeline, reliving the origins of the demon Valak in The Conjuring 2. There have been countless horror flicks that implicated religion into their bone-chilling scares. Whether it be exorcisms, cults, and everything in between, belief or doubt in a higher power could be a blessing or a curse. Here’s a list of the movies that will either turn you away from religion or lead you back to your faith in terror. But still, you know you’re going to watch it. This is just all kinds of fucked up. From the fake priest to the twist in the end, it’s going to leave you thinking just how insane the writers and directors are of this horror flick. And somehow, it kind of makes you question everything you know about exorcism and all its hair-raising possibilities. This movie is basically creepy from start to end. It’s just one of the many found-footage horror films out there, but it sets itself apart by touching on a mother-daughter relationship. Just how far would you go to save the only family you have? Maria Rossi as the possessed mother is just too good, it’s evil. If you want to be saved, don’t go to Eden Parish. Portrayed as “heaven on earth,” it’s not what you expect it to be. Cults don’t get more unnerving than this—it's basically a fictional Jonestown that's completely devout to their Father. It goes to show that if you proclaim yourself a loyal follower of your shepherd, be careful he doesn’t lead your flock to the slaughter. This flick focuses on the exploration of the catacombs underneath the city of Paris, which actually represents the circles of hell as presented by Dante Alighieri. In search for the philosopher’s stone, a group of people finds their past haunting them quite literally. Admit to your sins now, or it might be too late to ask for forgiveness. As much as we wanted an updated version of Carrie, the 2013 remake starring Chloe Moretz didn’t do the OG justice. Of course, this isn’t about exorcism with priests and nuns. The religious part comes from Carrie’s mother, Margaret, whose overly-devout Catholic personality contributes to the instability of Carrie as much as her bullies do in school. You push a girl with telekinetic powers too much, she will surely push back. Being a skeptic is both rewarding and downright terrifying. You keep on asking for proof, but what the hell will you do when you find it? Anthony Hopkins as a priest is one we thought we’d never see considering he’s most known for portraying the cannibal Hannibal Lecter. But this story of the Vatican and the priests designated to conduct exorcisms is utterly sinister. We just had to include Erik Matti’s film Seklusyon because Pinoy pride. But seriously, in terms of horror movies about the life of being a significant member of the Church, there’s nothing scarier than this film. And sometimes questioning miracles is necessary, because it might be the Devil in disguise. Al Pacino plays the Devil, and we have no complaints. He will make your dreams come true for the price of your soul, of course. And it may not be the typical horror film of jumpscares and distorted faces of ghouls and monsters, but it will terrify you on a much deeper level. You might even reach the point where you question God and totally agree with the Devil. Films like this become more terrifying when you find out it’s based on a true story. Being possessed by a demon is one thing, but six? That’s just brutally horrifying. It’s still one of the most memorable exorcism movies that inspired a lot more output from the genre. The mother of all exorcism movies, The Exorcist was a masterpiece ahead of its time. The cinematography matched the eeriness of the film and gave us the most memorable scenes in horror cinema. It gave us the 360-degree head turn, the crab crawl down the stairs, and the gross green puke of Linda Blair. It may be a little old, but it still has a reputation for being one of the most iconic horror flicks of all time. Rosemary’s Baby will make you think a little bit longer about moving into a New York apartment. Guy and Rosemary Woodhouse didn’t think much of it, but it was wrong to try and conceive a baby in a building that’s housing members of a Satanic cult. We should not overlook the loving couple’s mistake. Before throwing a housewarming party, ask if your neighbors have plans of bringing the Antichrist into the world via your wife’s womb.